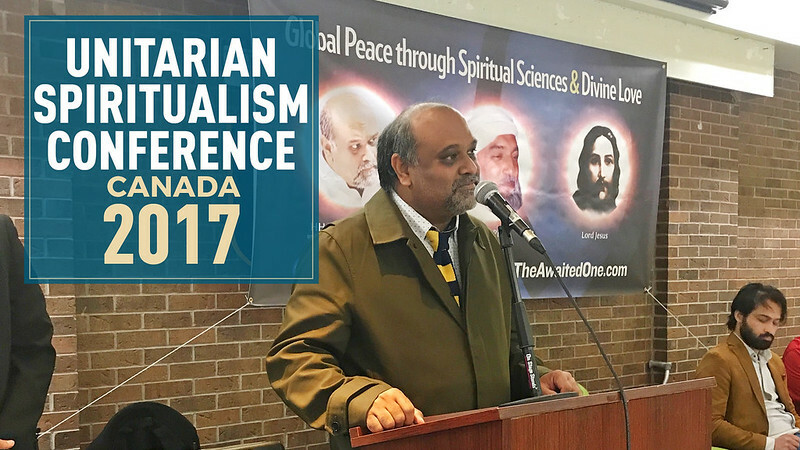 The Unitarian Spiritualism Conference, hosted by Messiah Foundation Canada and the Universal Great Brotherhood, was an amazing experience for all involved. We were pleased to see the positive response and meet with so many people whose lives have been spiritualised through His Divine Eminence Gohar Shahi‘s blessings. Steve Bell, President of Messiah Foundation UK, spoke beautifully about the importance and practicality of spirituality in modern-day life. Master Paul Acuna from the Universal Great Brotherhood also shared an admirable perspective on life and human connection. Celebrity guest Waqar Zaka also spoke about his personal experience with members of Messiah Foundation International. His Holiness Younus AlGohar, the keynote speaker and CEO of Messiah Foundation, delivered a mesmerising speech on divine love, the history and relevance of spirituality and the state of religions. The audience was fascinated by his wise words and wholeheartedly embraced his unique message for humanity. Many people from different religious backgrounds participated in the conference. Mr Sufi Nadeem and his musical band performed many popular Sufi songs which further added to the spiritual atmosphere. A number of people from the crowd even got out of their seats to engage in a Sufi dance while he performed. We would like to thank Mr Hugh Reilly (Host of Liquid Lunch, ThatChannel.com) for hosting our programme and honourable guest Waqar Zaka for providing social media coverage of the Unitarian Spiritualism Conference. 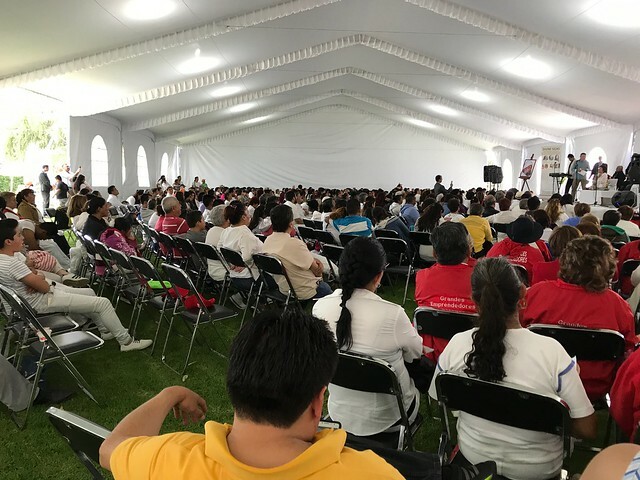 Messiah Foundation holds yet another sensational and enlightening event in Mexico City. We had over 1500 people of all ages, castes and creed. Even though the venue was fully booked, there were people who were so excited to participate that they were happy to stand throughout the entire programme just to embrace the positive energy in the atmosphere. Everyone at the programme had a smile on their faces and were overjoyed to learn about eternal love and spirituality from HH Younus AlGohar, who was the keynote speaker at the event. The audience was fully engaged during HH Younus AlGohar’s speech. The following are his closing words for the event. Mr Sufi Nadeem, world-renowned Sufi Singer from the UK, along with his team, performed wonderfully! He sang a variety of Sufi songs such as ‘Dama Dam Mast Qalandar’ and continuous chanting of ‘Allah, Allah Eshwar, Raam’ which echoed for miles. We would also like to thank our celebrity guest, Mr Waqar Zaka, for his coverage of the Amor Universal Conference across social media platforms. Towards the end of the programme, many people lined up to receive spiritual healing directly from HH Younus AlGohar. A multitude of them obtained the Opening of the Spiritual Heart as well. People felt the positive energy and expressed their gratitude towards His Holiness for his labour of love. We at Messiah Foundation International believe in the power of love and are joining hands with all religions to bring about a universal brotherhood. We hope to continue raising awareness of spirituality and divine love with the blessings of HDE Lord Ra Riaz Gohar Shahi. Editor’s note: the following is the seventh lesson in Younus AlGohar’s course on Self-Awareness, Level 2: Emotional Intelligence. Read Self-Awareness, Level 2, Lesson 6 here. Having studied different cases relating to our intellectual well-being and welfare, the findings have astoundingly surprised me. I conclude that the human brain is so vulnerable to becoming prey to different situations where emotions play their part, and our emotional sanity is badly affected. What happens to our mental welfare when we strive and long for certain things but don’t get them? A sense of deprivation prevails on the surface of our emotional river. What transpires in a human brain when a person has access to all luxuries and comforts in the world? Let’s suppose a child asks his or her parents to buy an expensive toy. Some parents are financially well-off and have so much love for their child that they buy that expensive toy for their child. Having acquired that toy, what transpires in the faculty of the child’s emotions? What possible emotional aftermath could occur when the child’s desire is fulfilled? He must have gotten a sense of achievement. In comparison to the child who acquired the toy of his or her desire, let’s talk about a child who had a similar desire but his or her parents were not able to afford that toy. As a result, there was a sense of deprivation felt by the child. We have to closely monitor these two senses. What would be the impact of these two different senses on these two different children? If this is just a single incident, whereby the child did not receive the toy from his or her parents, and when another toy is desired, it is given to the child, that initial sense of deprivation would become null and void. For the child who did acquire the expensive toy, the sense of achievement would have created this notion in his or her brain that anything is reachable. He or she begins to think, ‘I just need to say it for it to be done.’ This is where the imbalance in your emotional state occurs. Once the child acquired what he or she desired, now is the time for that sense of achievement to become null and void. Next time when the child asks for even a small toy, don’t give it to him or her. By doing this, you are actually securing his or her emotional well-being. The sense of achievement the child had developed when he or she acquired the expensive toy will go down the drain when another desired toy is not given to him or her. Their emotional sanity is restored. If you had refused to buy a toy for your child, the sense of deprivation would strike on his or her mind; what you should do is to buy your child the toy they ask for next time, even if it is inexpensive. If you don’t do that, the sense of deprivation will have taken root in the child’s brain which is not good for his or her emotional sanity. The sense of achievement and deprivation both go hand in hand. They are parallel to each other. When a child is sick, the doctors tell you to give the child paracetamol – and, in intervals, give them ibuprofen. Similarly, fulfil one desire of the child and say no to the other. Say no to one toy and say yes to the other. If you keep saying yes every time the child wishes to get something, you are actually destroying your child. If you keep saying no every time, because you think, ‘I do not have means, how can I buy anything for my child?’ this is detrimental to your child’s mental health. Even if you have to borrow some money, get your child the toy because you will be doing it for the sake of the welfare and wellbeing their emotional state. The same goes for the adults. If you try and every time you try, you fail, this is going to have a very bad impact on your emotional sanity. When I was in Pakistan, a friend of mine asked me to go to China with him. So we went to the Chinese embassy. He got the visa but I was refused. Then we made a plan to visit Bangladesh. We applied for a visa. He got the visa but I was refused. I was beginning to wonder, ‘Why? What’s wrong with me?’ I didn’t really realise what was going on. Then a few months later, I applied for the British visa. When I was entering the UK embassy in Islamabad, I was so nervous and paranoid; my heart was galloping like a horse. I was denied the visa once again. At this point, my emotional sanity was disturbed. Then, I applied for the Indian visa and I got it. You can’t imagine how happy I was! I had broken the shackles – I was on the no-go list and suddenly I got a visa. My emotional rationality and sanity was being restored. Getting the visa was one thing, but the aftermath implications of having or not having the visa was another. If I have the visa, I will have a sense of achievement, if I don’t have it, I will have a sense of deprivation. Both are aftermath impacts. I was relieved and it restored my emotional condition. For example, every day in your business, you are losing £1000. Suddenly, one day, you make £500. You will be amazingly happy because the losing streak has stopped. That change will make you happy – not because of the monetary benefit, but because of your emotional well-being. The sense of deprivation will be gone. The sense of achievement, when you needed it, will restore your emotional sanity. What Affects The Emotional State? We are living in a jungle of different types of emotions. Every action and deed is directly linked with an emotion. Every action and deed, whether it is your deed or somebody else’s, is going to have some effect on your emotional state. For example, if you see somebody is helping the needy ones, you will have positive emotions for that person. If someone is beating up somebody for no reason and is being abusive, you will have negative emotions for them. Everything we do will have an impact on the emotional sanity of people around us. You are the one who will make positive or negative emotions in the hearts of other people. What you do will shape up emotions of people for you. This is the reason why some people fake what they do in order to earn positive emotions from others. In the eyes of people, they do certain things and everybody praises them but behind the scenes, something else is going on. If the schools, colleges and universities are full, you should not expect anybody to be ignorant but even then the world is full of ignorance. Similarly, when the mosques, churches, temples and synagogues are full of worshippers, why is the world bad? When these people are in the worship places, they are good; when they come out, they change. If they were genuinely worshipping God, they would have changed. This world would have changed. It’s not just your actions. What you say is also directly linked with emotions. When you say something nice, it will please many hearts. One nasty word from you will trouble so many hearts. People will develop a sense of hatred because they cannot deny what they see and hear. No matter what you do behind the scenes, what you do in front of people is the only thing that will create negative or positive emotions in their hearts. People have negative emotions for you because of your bad deeds and words. People love you and praise you because of your good deeds and morality. The way you give people respect and the way you conduct yourself [will generate positive emotions in their hearts for you]. You are not emotionally intelligent if you do not realise this. Some wounds that are caused by weapons heal quickly, but the wounds done to your heart verbally stay on the soul forever and are never healed. Make sure you are very careful with your mouth. With this one piece of meat between your jaws, you create problems for yourself. Everything is live. People change their mind every second. You could do good things all your life and just do one bad thing will make people change their mind about you. Be careful. Nobody is your enemy. You yourself are either your friend or enemy. When you become carefree and think, ‘I will do what I want to do,’ you are actually making people hate you. You think you are powerful and you got away with what you said, but people will hate you because you are exposing yourself. If you are incapable of doing any goodness, stay the way you are, but do not fake it. We are all closely linked to each other. Our lives are very much dependent on each other. You cannot live a solitary life. Our happiness is very much dependent on others. Emotions are the backbone of your social life. What you say and do will definitely create some kind of emotions in your heart as well as in the heart of others. Do you realise that in the moment in time when you feel a sense of achievement ,somebody in front of you is touching upon the sense of deprivation? There is a conflict of emotions between you and that person, which will create jealousy. Day in and day out, we only care about ourselves and we hurt others. When we do this, even our family members are emotionally millions of miles away from our hearts. Sometimes we do it and we are responsible for creating this rift and sometimes they are responsible. How can you have a good relationship when emotionally you are falling apart? Now is the time for us to be emotionally and spiritually intelligent. We should know what it is that is good for us and what is bad for us. In order to have a good relationship, you want to make sure that your emotions are aligned and you do what you can to create an emotional bond [with those around you]. When you do not have an emotional bond, how can you have a love bond? It is not just our own emotions – we should also be concerned about the emotions of those who live around us. A good spiritual man is one who only begets positive emotions, who does not beget negative emotions and who does not cause any other person to beget negative emotions. Do we care about the effect of what we do and say on the people who live with us? Or the people that we are dealing with in our day-to-day lives? We also must monitor ourselves and ensure that anything we say does not affect anybody’s emotional sanity or cause them to create negative emotions in their hearts. On the other hand, if you are doing or saying the right thing – for the benefit of humanity – and it hurts somebody, then it is not your problem. This is because they do not care about humanity; the truth is hurting them because they care about their ego. If they did not care about their ego and actually cared about the humanity, then the truth would make them happy. Always say the right thing [no matter what].